The Belize Trade and Investment Development Service (BELTRAIDE), is pleased to announce the official launch the Belize Investment Portfolio Campaign on Friday, 25th November at the Radisson Fort George Hotel. BELTRAIDE is able to present this historic campaign in support by its line ministry, the Ministry of Economic Development, Petroleum, Investment, Trade and Commerce, as well by ConnectAmericas, of the Inter-American Development Bank (IDB), and the Caribbean Association of Investment Promotion Agencies, (CAIPA). The countrywide campaign is expected to foster the development of a national portfolio to fast-track investment generation efforts, both local and foreign, through targeted matchmaking of pre-packaged investment concepts and projects. Through the advancement of the campaign, BELTRAIDE, through its technical unit BelizeINVEST, mandated to serve as Belize’s National Investment Promotion Agency (IPA), expects to further substantiate selected investment concepts submitted by key public sector Government Ministries and stakeholders into actionable business cases aligned with national development priorities. 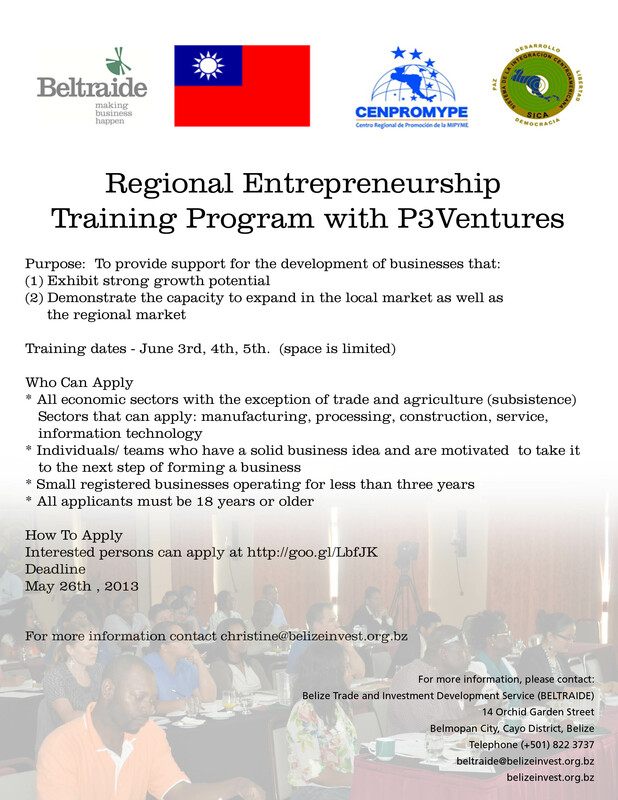 Additionally, the campaign strives to support qualified private sector investment projects seeking financing and / or investment partners by promoting and matchmaking these “shovel ready” business opportunities through various platforms regionally, inclusive of ConnectAmericas and CAIPA, key supporters and collaborators of this initiative in Belize. The media is cordially invited to provide coverage of the event. 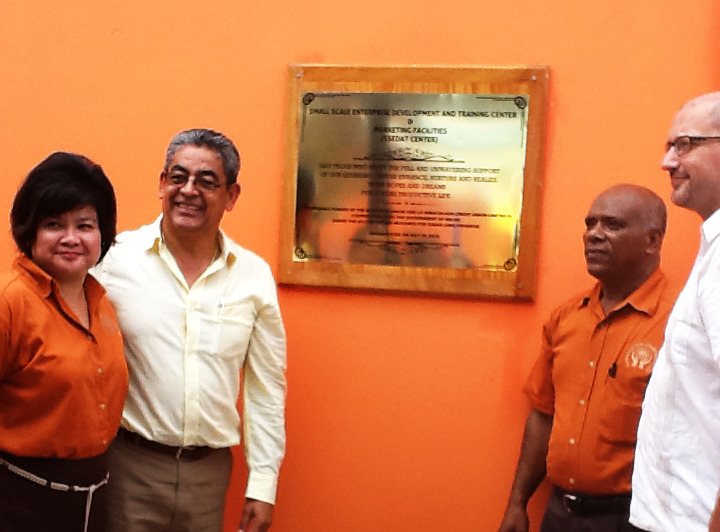 On July 20th, 2013, La Inmaculada Credit Union (LICU) inaugurated its Small Scale Enterprise Development Center, which will also serve as a Marketing Facility for entrepreneurs. For us at BELTRAIDE, it was truly an honor to form part of this incredible milestone for LICU. Among those present, as Hon. Gaspar Vega, Deputy Prime Minister and Minister of Natural Resources and Agriculture; Mr. Kevin Bernard, Mayor of Orange Walk Town, and Mr. Cosimo Lamberti-Fossati, Representative of the EU Office in Belize. 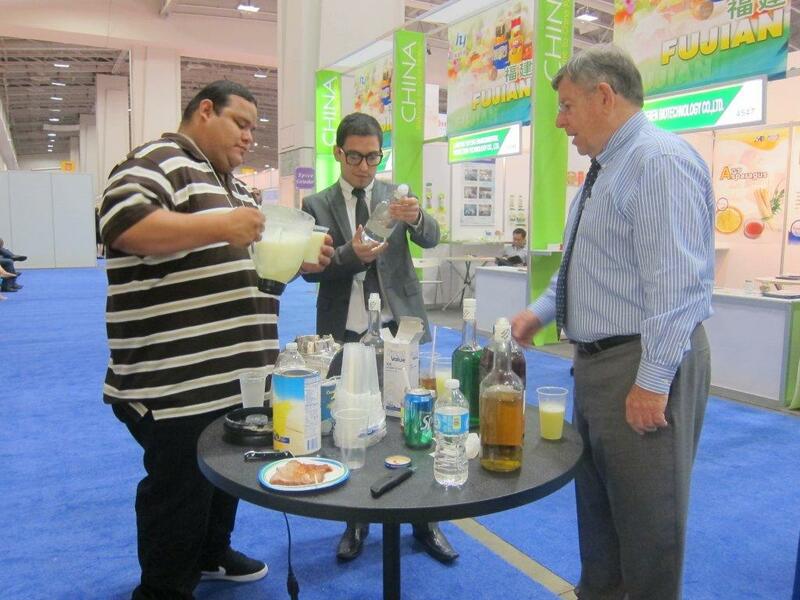 To view the picture gallery visit our Facebook page.